But their efforts in 2010 flopped. Not because they couldn’t agree on a set of principles aimed at cleaning up the embarrassing corruption scandals of the mid-2000s that led to jail time for lawmakers, but because in 2011, when Republicans took control of the House, they banned the practice altogether. The Senate followed. After that, K Street lobbyists, lawmakers and their aides, and others with a vested stake in the fate of earmarks and the functionality of Congress took their work underground. They met privately to discuss how to rebrand earmarks, which are pots of federal money that lawmakers appropriate and then direct to specific projects, typically in their congressional districts or states. It wasn’t fashionable to talk openly about such a tainted process. That seemed poised to change a year ago when the House Rules Committee held a public hearing on whether to resurrect them, but it ended there with no change in policy. 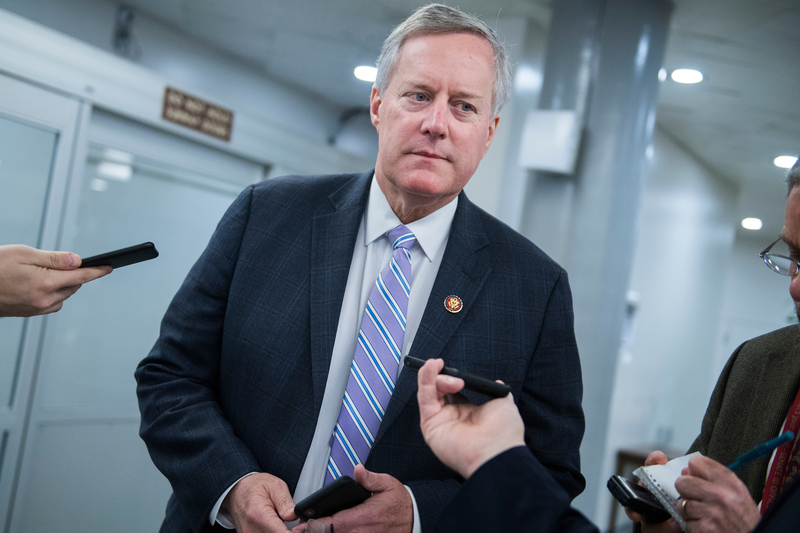 Now, however, with House Democrats eyeing a return to earmarking their chamber’s appropriations and possibly other bills, the quiet campaigns on and off the Hill are slowly emerging — as are the counterefforts to keep earmarks out. This comes at a moment when congressional partisanship and stalemate between the Hill and the executive branch have hit a fever pitch and as Democrats seek to assert the power of the legislative branch, including its full command of the nation’s wallet. A return of earmarks could soften the edges around partisan spending disagreements and could allow lawmakers to reclaim one of the powers they voluntarily surrendered amid scandal. Even the biggest fans of earmarks admit that new pots of money can’t solve all the dysfunction and partisanship in Congress. But securing directed spending for projects in a rank-and-file member’s district can help leaders and committee chiefs woo votes from undecided or reluctant members. On some bills, just a few votes can make the difference between passage and rejection. Getting an earmark in an otherwise massive bill can give lawmakers a sense of investment in the measure — and potentially in the process of legislating overall. But it won’t be an easy sell to skeptical Americans, or to some of earmarks’ biggest opponents on Capitol Hill. Majority Leader Steny H. Hoyer, a onetime appropriator, has made clear he’d like to see lawmakers take back their power to direct money where they see fit, instead of leaving it up to administration officials. Hoyer noted previous changes that Democrats imposed, including public disclosures and a requirement that lawmakers certify that they had no personal financial stake in their funding requests. “With those reforms in place, I am also open to additional reforms to strengthen transparency and accountability to this fundamental duty of the Congress,” he added. House appropriators haven’t yet made a decision, but Appropriations Chairwoman Nita M. Lowey of New York favors a return of earmarking. The GOP-led Senate may take its cues from the House. The problem that led to the ban wasn’t a mystery. Too frequently lawmakers handed out earmarks to campaign contributors, and in some cases there was evidence of a quid pro quo, an earmark for donations or even personal enrichment, said Holman. Defense lobbyist Paul Magliocchetti, a onetime aide to the late defense appropriator John Murtha, a Pennsylvania Democrat, pleaded guilty to such a scheme in 2010. Ex-Rep. Randy “Duke” Cunningham, a Republican from California, similarly went to prison after pleading guilty in 2005 to arranging earmarks and government contracts in exchange for more than $2 million in bribes. The recommendations from Holman, Walsh and the others called for new limits on the earmarks for political donors. Others who endorsed the ideas were Melanie Sloan, then executive director of the ethics watchdog group Citizens for Responsibility and Ethics in Washington; Tom Schatz, president of Citizens Against Government Waste; Steve Ellis, vice president of Taxpayers for Common Sense; Rich Gold, who runs the lobbying practice at Holland & Knight; and Linda Morgan, then of Covington & Burling. Holman said he’s working to persuade House Democrats to bring back earmarks but with such pay-to-play bans, and has sent along an old op-ed to Hoyer and Lowey. “It’s an ideal solution,” he said. Back in September, in outlining his vision for a sweeping overhaul of campaign finance, ethics and voting laws, Hoyer notably included his pitch for restoring earmarks with limitations and public transparency. “Republicans eliminated earmarks altogether, and the result has been an abdication of Congress’ power of the purse,” Hoyer said at the time. He dismissed as ineffective the current balance of power in which lawmakers now go “hat in hand” to bureaucrats in the executive branch looking for funding for projects in their congressional districts. Not all of the original breakfast club members stand by the recommendations made before the earmark moratorium, which Schatz of Citizens Against Government Waste said has not eliminated such spending altogether. Schatz does not support their return, even if lawmakers adopted the recommendations that he helped draft in 2010. “It’s legalized bribery, corruption,” said Schatz, whose group publishes an annual “Pig Book” exposing earmarked spending. Lawmakers, too, dole out earmarks unequally, with the majority going to appropriators, House and Senate leaders and others with favored status, he said. “I think the Democrats want it to, but I don’t see that happening,” he said, though he views earmarking and member-directed spending as distinct. Experts on Congress and the federal budget, however, say that in general the presence of earmarks in a bill does not actually increase government spending, but instead sends money to specific entities. Meadows knows where the conservative grassroots activists are on this. The conservative FreedomWorks is mobilizing against earmarks, said the group’s Jason Pye. “We’ve already been pushing back on earmarks through our grassroots activity — and when or if, I think it’s more of a question of when, not if — they start debating earmarks, or bring them back, we’re going to activate and hopefully send a fury to Capitol Hill,” Pye said. Still, even Pye and other foes of earmarks concede that earmarks would amount to a small portion of federal spending. The money that would be earmarked is likely already getting spent. Russell W. Mills and Nicole Kalaf-Hughes, political science professors at Bowling Green State University, have explored the growth of what they call “letter-marking” in the absence of earmarks: Lawmakers, as Hoyer suggests, write letters to federal agency officials urging them to send money toward a particular constituent or project. The professors, using Freedom of Information Act requests, found that in 2007 and 2008 combined, lawmakers wrote nine letters to the Transportation Department to nudge federal grants to specific places. In 2011, that number had gone up to 128 letters from lawmakers, Mills and Kalaf-Hughes discovered. Since then, letter-marking has dipped but remains higher than it was when earmarks were routine. Lawmakers and their aides also have become more adept at writing legislation aimed at “micromanaging agency decision-making tools such as cost-benefit tools in an effort to direct grants to their districts,” said Mills. “This is much less transparent,” he added, when compared with publicly disclosed earmarks. Letter-marking and other strategies that lawmakers have used over the decade without earmarks are often less effective replacements for steering tax dollars. It’s less a debate about how much money the federal government spends, but who decides where it goes. “In lots of cases, like particularly federal grant programs, the money is still getting spent, it’s just that somebody else is deciding how it gets spent, not Congress,” said Molly Reynolds, a governance studies fellow at the Brookings Institution. Though it may not work as a balm for all that ails Congress, earmarks have a long history of being used to help win support for much bigger bills that specific lawmakers would otherwise be inclined to oppose. “As a member of Congress, you’re not just voting on a $175 billion spending bill. You can say, ‘I didn’t like everything about the bill, but here’s what we got.’ Members can’t do that anymore,” said Walsh, a lobbyist at K&L Gates who served 10 terms as a GOP representative from New York. What’s less clear is whether a return to earmarking would give rank-and-file members of Congress a new sense of empowerment, or whether it would simply give leadership, which has already consolidated much authority, yet another tool to lord over unruly members. No matter the consequences for intraparty dynamics, the loss of earmarks has exacerbated partisan tensions, said Howard Marlowe, a longtime lobbyist. Even Schatz concedes the point. “Maybe they didn’t spend more money in one sense, but this did entice members to vote for spending bills they might not otherwise have supported but for a few million dollars in earmarks,” he said. Many lawmakers with conservative voting records “did not hesitate to earmark and they would end up voting for some of these expensive spending bills because they were getting some money,” he added. Those lawmakers may have felt that their districts badly needed the cash. The demise of earmarks has meant fewer dollars for poorer, more rural districts that could use the investment, say some lawmakers and lobbyists. Richmond’s philosophy on earmarking sounds a lot like the late Sen. Robert C. Byrd, the West Virginia Democrat who championed the practice. 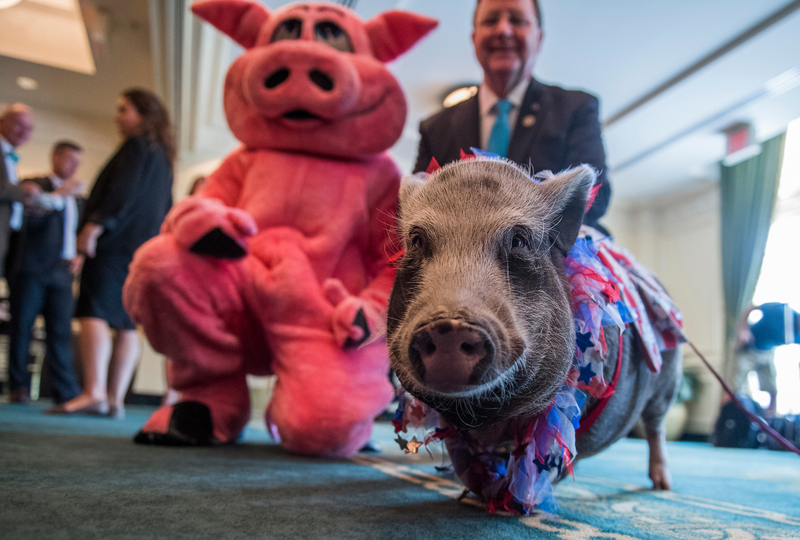 Citizens Against Government Waste dubbed Byrd the “King of Pork,” tabulating that he directed more than $4 billion to his state, where many bridges, buildings and highways bear the name of the former Senate Appropriations chairman. When he died in 2010, months before lawmakers ended the era of earmarking, Schatz recalled that Byrd had once called Citizens Against Government Waste a bunch of know-nothing “peckerwoods.” Byrd’s love of earmarks, though, did not transfer to his affection for lobbyists who sought them. Byrd told The Washington Post in 1989 that he became enraged to learn that a crew of lobbyists was aiding a Mountain State university in securing earmarks — and told his constituents as much. “I asked them: Why do you think you have to employ a lobbyist?” the Post quoted Byrd as saying at the time. “I’m on the Appropriations Committee — if I can’t do it, nobody can.” Byrd’s anger later turned into an amendment stipulating that clients couldn’t pay their lobbyists with appropriated funds. Byrd, though an extreme example, represents a time when individual lawmakers held significant power, an era that has now faded. The decision to eliminate earmarks “is consistent with Congress making a set of choices of weakening its role as the first branch” of government, Reynolds added. In the absence of earmarks, lawmakers and congressional staff have sought to nudge federal dollars to specific projects — often without success. Marlowe, a lobbyist who has long worked the Energy-Water appropriations bills, said it’s not just lobbyists and their clients who are frustrated at the loss of earmarks. He has a client — the city of Solana Beach, California — that has sought funding for a project from the Army Corps of Engineers. The client has paid Marlowe’s firm $1 million since 2001, according to federal lobbying disclosures, and Marlowe said he’s helped the city win nearly $10 million in past earmarks. Appropriators in the last Congress worded a bill in such a way that they believed only Solana Beach and another California coastal community would be able to get the funding for a planned shoreline protection project two decades in the works. Instead, it went to Norfolk, Virginia, Marlowe said, a decision of the Office of Management and Budget, which oversees the Corps’ budget. The city needs a minimum of $1, yes one, from the federal government to be able to tap into state funds, the local government said. A return to regular earmarking of appropriations bills would extend well beyond the Capitol, and that, too, is part of the image problem. Helping clients win earmarks became the backbone of business for some of K Street’s biggest firms, such as Cassidy & Associates and Van Scoyoc Associates. Cassidy was the top grossing firm in 2000. By December 2010, on the cusp of the GOP moratorium and as earmarks had become increasingly controversial — and transparent — Cassidy laid off staff and restructured its business model. The firm bought itself back in 2017 from its former owner, Interpublic Group, an advertising and public relations conglomerate. Cassidy wasn’t the only firm to take a hit. Total lobbying revenue, which for years had been on the ascent, declined in 2011, the year Congress scrapped earmarks, according to an analysis from the Center for Responsive Politics. There were other factors involved in the decline, including incentives for lobbyists to deregister as well as economic ripples from the financial crisis. But the loss of earmarks upended significant chunks of the lobbying business. Their return would likely be a boon. February and March were typically the deadlines for individual members to submit their funding requests. Marlowe said his clients have continued to submit requests through lawmakers via electronic forms submitted through special portals. The Senate versions of the forms even include a disclaimer noting the ongoing ban on congressionally directed spending items. Even with all the obvious baggage, many lobbyists say they expect that lawmakers could begin earmarking as soon as this year. But even so, they caution that the process — and potential profits for K Street — won’t look like they once did. Gold predicts that should earmarks resume, they would be narrow, such as mostly infrastructure projects. And the public transparency would increase. If resumed with increased disclosure and limits on earmarks for donors, Holman said the PR problem should solve itself, once lawmakers and constituents see funding for projects flow to their districts. “If we can get out front on this issue and not have congressional Democrats just introduce a revival of earmarks flat out and have them introduce our proposals, I think we could win the battle over the hearts and minds of the public,” he said. They won’t be the only ones trying.